Amazingly amusing! 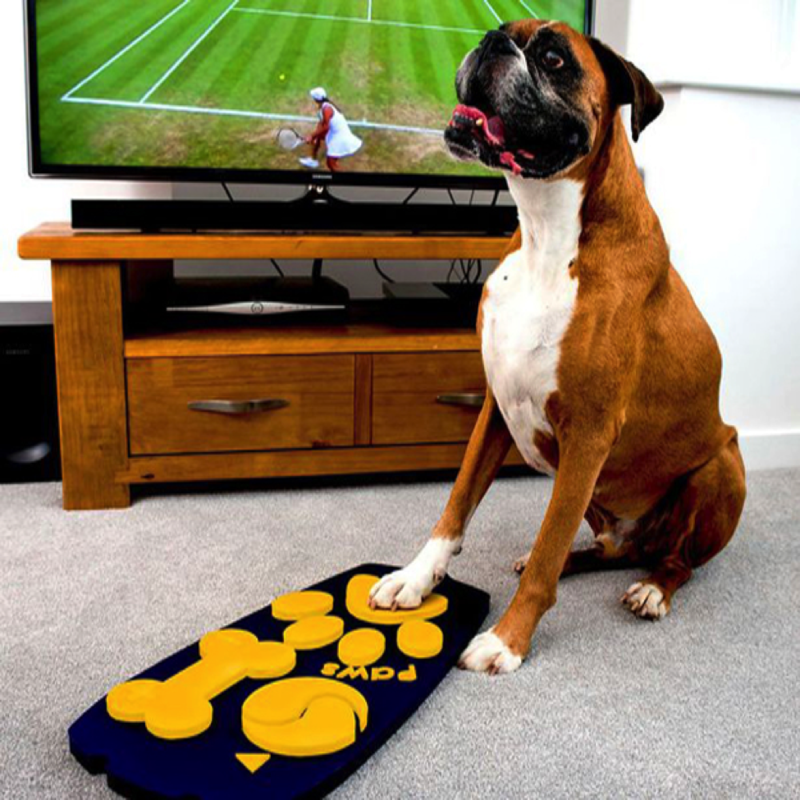 A pet food maker and the experts at the University of Central Lancashire are known to have introduced a TV remote control for Dogs that will also be including a button for their paws. With the advent and mercy of technology, dogs will now be able to channel surf for their favorite TV shows with the help of word’s first pet-friendly remote. While designing the gadget, the dribbles and paws of animals have been kept in mind. Wagg, a pet food maker, the founder of this interesting device, remarks that it has been made cleverly from tough and waterproof plastic. The buttons are huge with raised surfaces and it makes easy to switch channels and gives off low-frequency squeaks that appeal to pooches. All this is a team effort, this remote commands appreciation and without the contribution of the computer designers at the University of Central Lancashire in Preston, making such a device would not have been possible. The main idea behind creating this was to keep the dog entertained and reassure owners of their well-being. Dan Reeves, spokesman, confident about device’s success, says: “We know that people can feel a little guilty about leaving their dogs in a room alone for a short while- whether it’s a pop to the shops or cook dinner in the kitchen. Seeing the immense attention that the gadget is getting from people it is believed that there are full chances of it going into production.